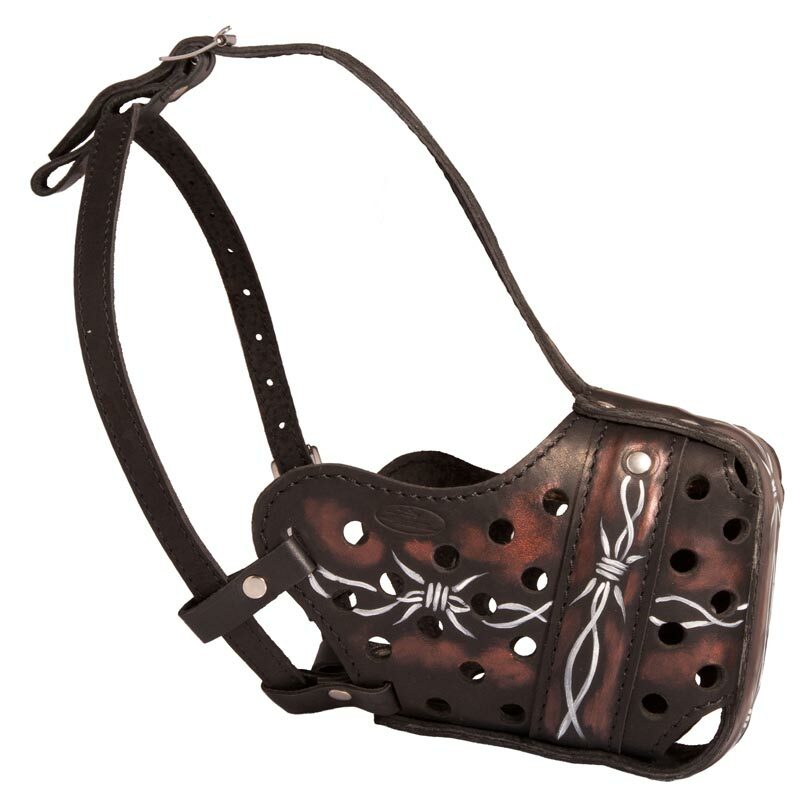 This Dog Muzzle is made of high quality solid genuine leather. It is strong, safe for your dog’s health, sturdy and tear-resistant. Just take care of it to prolong its service time. 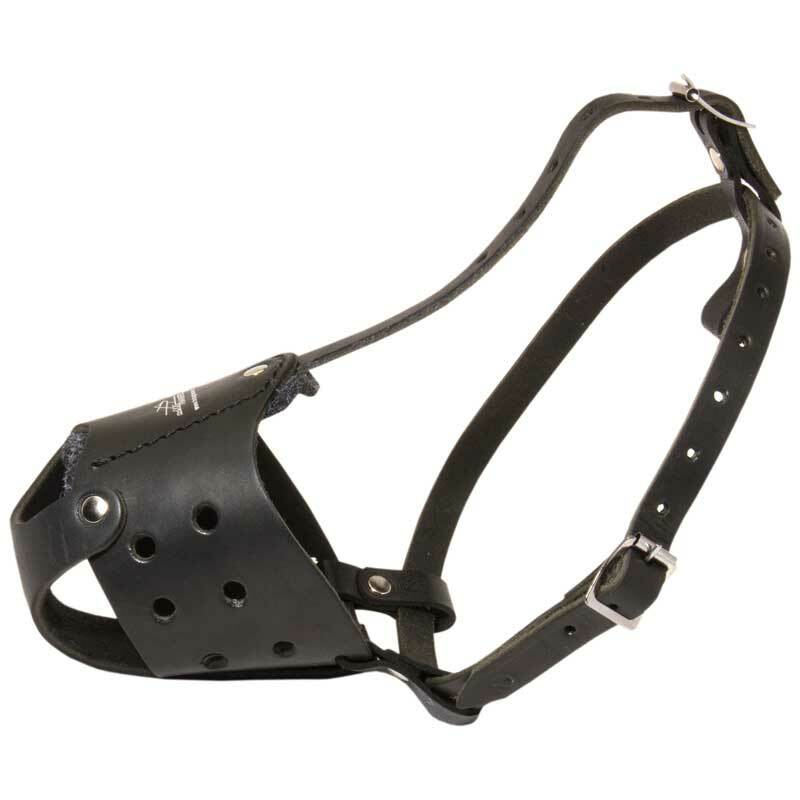 Thanks to ergonomic design this Muzzle allows to breathe freely, to pant and to bark. Be sure your Rottweiler will feel no discomfort wearing this dog item. 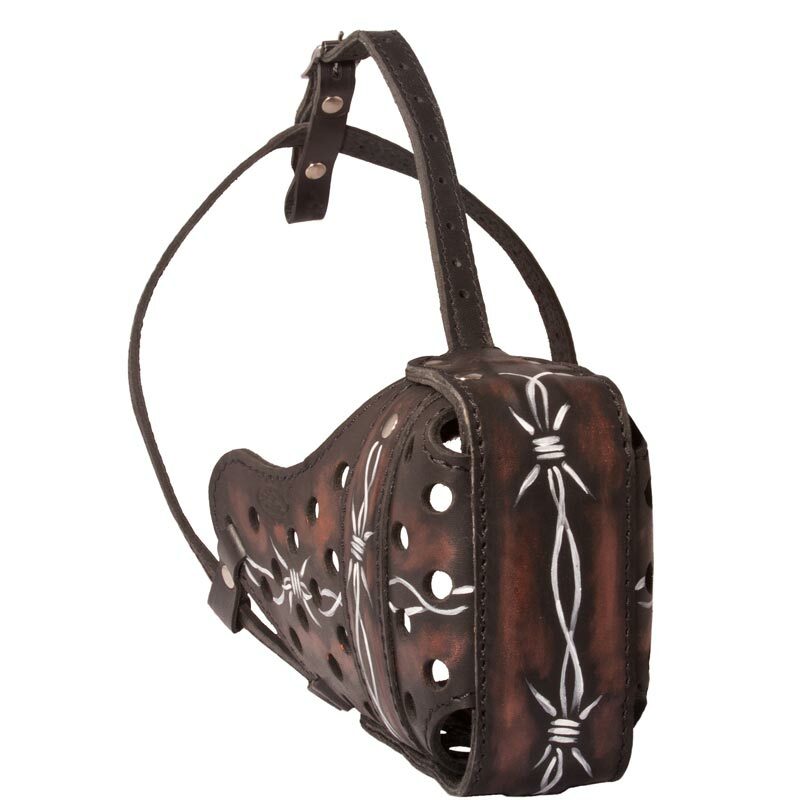 You can use this Leather Dog Muzzle for different purposes – it is great both for off leash training, safe walking, obedience training and visiting a vet. Also the unique feature of this dog supply is its incredible design. Barbed wire painting gives an impression of strength and power.